***LIMITED SERVICE AVAILABLE: Sorry but I’m going to be on the road from mid-April to early June 2019 with limited time available. Want to go bicycling in Portugal? Unsure where to go or how to get there? Not certain of the best time to go? Setting off to bike through a new country can provide quite a few dilemmas. Particularly when most guidebooks only tell you about the big towns. Want to stay independent? Don’t want to pay a fortune to be part of an organised tour? It can be tricky if you want to head off under your own steam but are a bit uncertain about where to start. Help is at hand with the Pedal Portugal Route Planning Service. With my knowledge of what the country has to offer – its varied landscapes, historic towns, beaches, different wine regions etc. – I can help you decide where to go. Equally importantly, I know many of the country’s roads. I can tell you where to find back roads that don’t appear on any printed maps. I can also tell you how to avoid busy highways – and where you have no choice but to join the traffic. 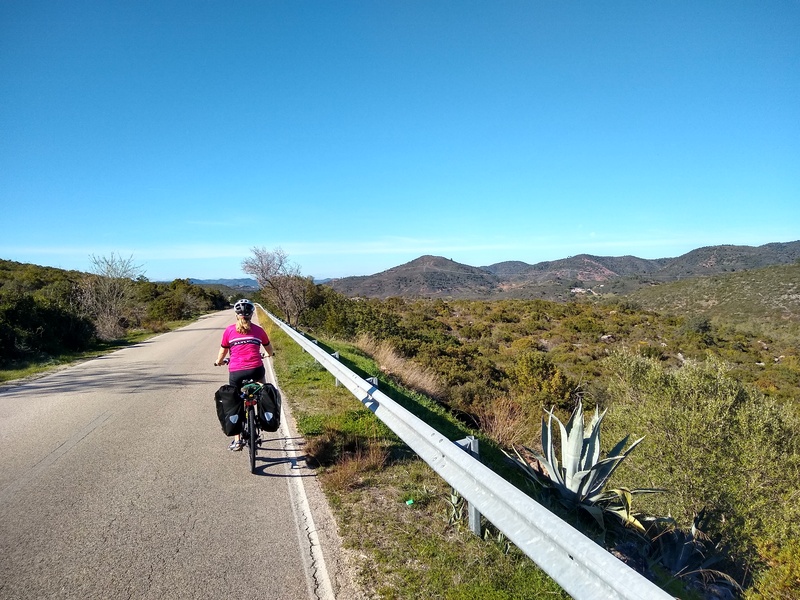 I rode the length of Portugal on my first visit to the country and subsequently spent three years living there – which is when I started the Pedal Portugal website. I still spend several months a year in Portugal and by now have ridden thousands of kilometres of the country’s roads. 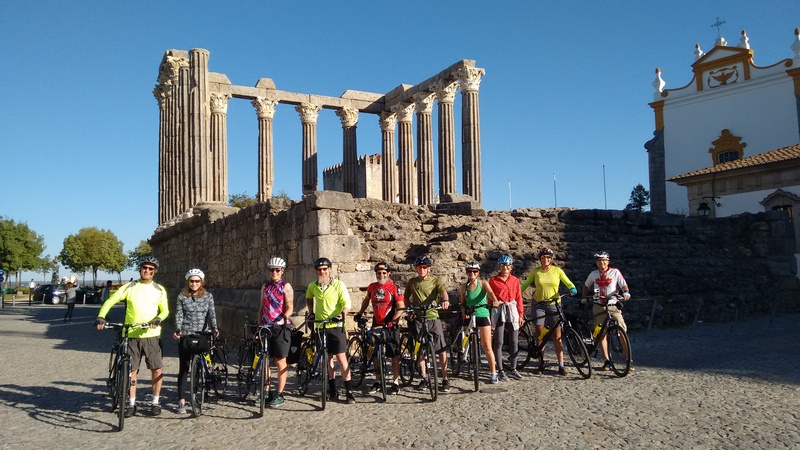 During the past couple of years I have published two guidebooks on cycling in Portugal, as well as launching a series of guided biking tours that take small groups of riders around some of my favourite parts of the country. Scroll to the bottom of this page to see reviews from some of the riders who have already used my services. If you’re confident about navigating your way around and just want to know where to find the best cycling – and which roads to avoid – this is the simple option. Whether you’re interested in a few rides out from a holiday destination or a lengthy tour, simply fill out the questionnaire below. Give me as much information as possible on where you want to go (if you know! ), what you want to see (and what you don’t want to see), the kind of terrain you like etc. I’ll then liaise with you by email until I feel I’ve got a good enough idea of what you want. After that, I’ll produce an outline route (see below). 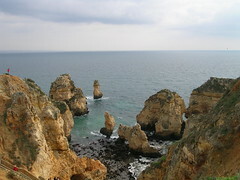 This option gives much more comprehensive help with planning a cycle tour through Portugal. information on how to logistics challenges – like taking your bike on trains and buses. Simply use the questionnaire at the bottom of the page to give me as much detail as possible about where and when you want to go, what you want to see (and what you don’t want to see), the kind of terrain you like etc. The more information you give me, the more easily I’ll be able to come up with a ride/route that matches your requirements/interests. I’ll then liaise with you by email (or call via Skype) until I’ve got enough information to put together an outline route (see below). The next step is to produce an outline route (or several) based on what you’ve told me. Once you’ve approved a route, I will send an invoice and get to work! Once we have agreed on an outline route, I will put together a detailed plan for you. For the Maps-Only option this will include 1,2 & 5 below. A route map* for each day – including alternative routes where available/suitable. This can be downloaded to a cycle computer or printed out as detailed directions. A ride profile. This will show you the gradient/incline along the entire route, tell you how many metres of ascent/descent are involved, the maximum incline and the average over the day. Notes on places to visit/sights along the way. Where possible I will also include information on cafes, supermarkets etc so you know where to find provisions. Accommodation suggestions. Booking where to stay will be up to you but I will give you ideas for anything from campsites to rural B&Bs or hotels, depending on what you’re after. Advice on logistics, such as getting from airports, using public transport along the way or hiring bikes. Individual requirements. If there’s anything else you want to know, just ask. I can’t promise to solve all your problems but I’ll try my best! *For maps I use the website ridewithgps.com Maps can be downloaded to Garmins, phones etc and can be viewed using Google Maps, Open Street Map etc. Ride With GPS also provides a detailed cue sheet giving directions and distances for each section of the ride. For an example route, click on the map above. Please note: I can not guarantee to have personally ridden every kilometre of routes I recommend. However, I will probably have ridden/travelled at least 80% of the roads involved. Other sections will be based on detailed research and personal knowledge of the general area. After the first five days, there is a £3 discount on each subsequent ride. Payment is required in advance once an outline route has been agreed. After the first five days, there is a £5 discount on each subsequent ride. Please fill in the questionnaire below and give as much detail as possible – I can’t help you unless I know what you want! Please note: Planning detailed routes is not something I can always do instantly (I might be off leading a guided tour). If you want to use this service please try to give me a couple of months’ notice. What kind of terrain do you want to cycle? We are finally on our flight home and i wanted to thank you for the perfect plan you made for us. The route was beyond my expectations. I didn’t expect it to be so diversed with new sights on each day. I prepared myself to a monotone landscape and i appreciate you for taking it into considerations. It was quite unusual for us but we didn’t get lost even once thanks to the thorough directions you gave us. 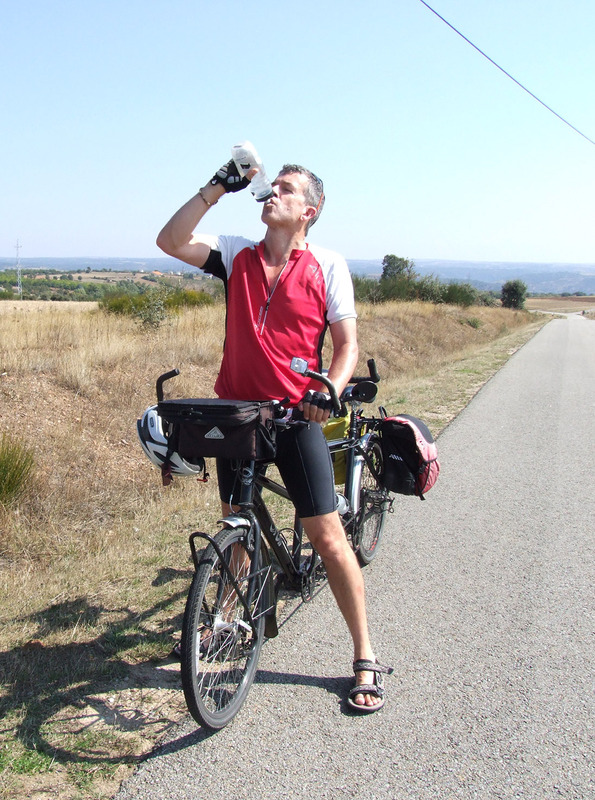 Huw’s route planning services and general advice about cycling in Portugal were invaluable for me. Huw crafted three routes for me on quiet, scenic roads which I would not have been able to find or create on my own. His routes included very good attention to detail, including where to park and where to get food and drinks along the way. This was my first time riding by myself in another country and Huw’s advice made me feel much more confident about the rides. 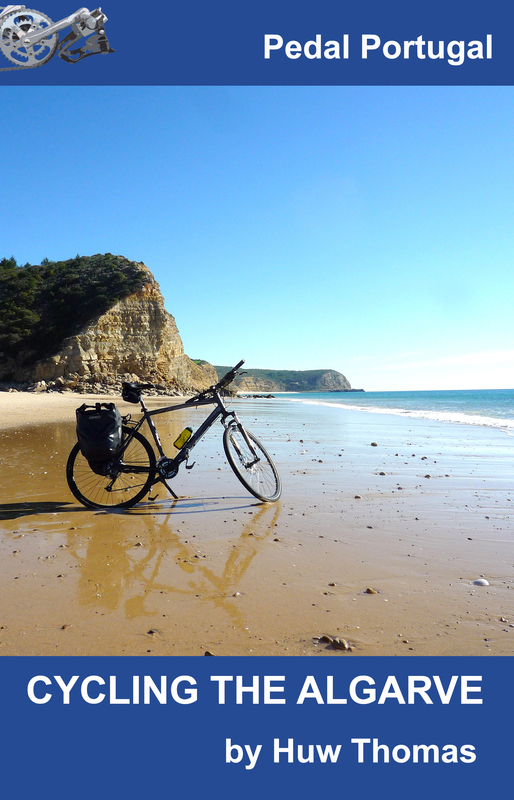 Huw planned a 6 day cycling tour primarily in the Alentejo region east of Lisbon. Prior to the trip, Huw was very responsive. When I first contacted him, I knew nothing of Portugal and had no preconceived ideas of where to travel. Huw suggested Alentejo and it was perfect as I toured on decent roads, with a variety of terrain, and visited many interesting places. He also provided excellent suggestions on where to stay, where to rent a bike, and what sites to visit. All this value add made the trip go very smoothly. On the trip itself, I found the cue sheets quite detailed and easy to follow and the digital maps, including the suggestion to use the app, maps.me, were also very useful. The trip was a very memorable experience for me and much of the credit goes to Huw. I unreservedly recommend him for a custom, unguided tour. If you are concerned about the cost, I think you’ll find it’s money well spent as Huw will save you hours (days?) of planning and will save you some money by directing you to good value accommodations and bike rentals. Huw devised a great 6 day plan for my wife and me in April, 2017. He also gave excellent advice on hotels and other logistics. Also very helpful was his suggestions on loading the detailed maps onto a phone app so I could see all details as i rode (brought an inexpensive mount for my I-Phone on my bike). Huw also suggested a bike rental company, http://www.cycling-rentals.com, which we used and were very satisfied with. They had very good, newer equipment (not always the case) where it was supposed to be – these people are real pros. Portugal is a wonderful place to ride and visit. We will do it again and our first contact will be with Huw. Thanks. Huw’s map service was invaluable help to my husband and I as we rode for a month-long sojourn in Portugal in October 2016. His advice to start up north and end down south was his first good call, as we started with warmer weather in the northern mountains/national parks and headed south along the Spanish border to the coast as Fall arrived. Huw was available to answer questions and very generous with his time and knowledge. You couldn’t find a more knowledgeable person to help you with a riding itinerary in Portugal. Thanks again Huw. My wife and I completed a 5 day Castelo tour of Alentejo region of Portual that Huw plotted out. We are both experienced bike tourers and had never really used a service like this before. This was one of the best trips that we have ever done. Huw directed us through the most picturesque small country roads (whenever possible), suggested great places for us to stay and have lunch along the way. He worked with us to make sure that we had the daily mileage and also suggested key points of interest along the way. We stayed in some of the most beautiful Castelo’s (Castelo de Vide, Evas, Elvora, Alcacer do Sal) along the way, saw thousand of acres of cork trees, herds of cattle and enjoyed the local cusine at all of our stops. 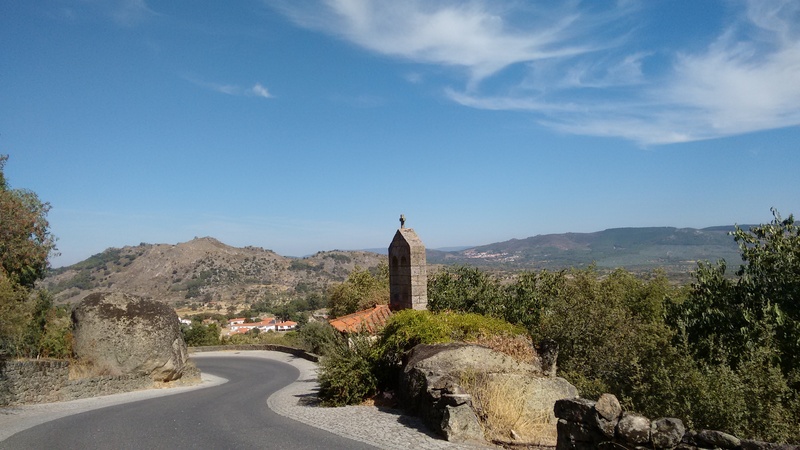 Huw put together a 14 day route from Guarda to Evora and it was about perfect. Detailed and the right distances for us. Two thumbs up! On holiday with the family but being a keen cyclist was wanting to do some road cycling whilst here. I asked Huw to design me a couple of routes (he actually came back with 2 variations of each route so ended up with 4 rides which was great) as i don’t know the area at all and didn’t want to spend the time cycling looking at maps, nor trying to design something on my garmin and ending up on bad roads etc. Thus far I have done two lovely rides, leaving each morning at 7am to try to avoid the strong algarve sun. 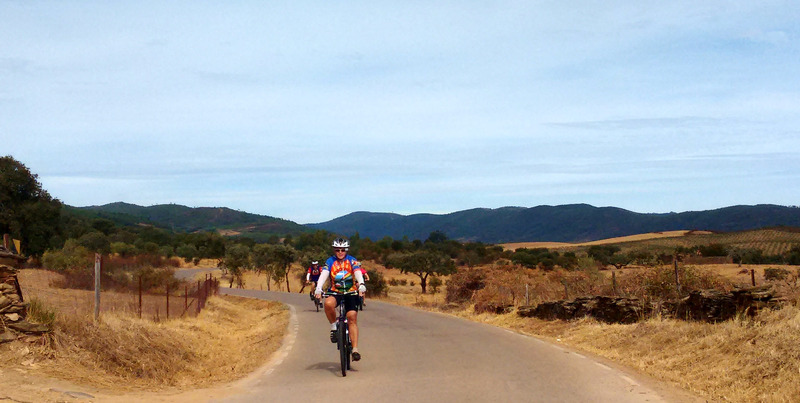 The routes have been excellent, encompassing both coastal views and lovely inland small roads. A terrific service I have to say as took all the hassle away, literally hired a bike (again using a shop Huw recommended), uploaded the routes to my garmin and off i went. Great fun rides and it got me to see some of the algarve that I would have not seen otherwise. I will do the other two rides this week. Thank you Huw! My pleasure, Ed. Glad they worked for you. Huw did a wonderful job helping us with our trip to Portugal in March 2016. We asked him to help us plan day bike rides for us on our tandem throughout Portugal. We were on 21 day trip. He suggested a driving route to 14 towns over about 1,000 miles making sure that we saw great scenery, castles, museums, Roman ruins, and other interesting places. All we had to do was follow the maps that we downloaded on our phones and use the Maps.Me app. With Maps.Me your phone becomes a GPS device He also sent us a description of each of the bike rides and driving trips between the 14 towns where we stayed. What we liked a lot was that Huw’s directions took us on many back roads and we saw things that most tourists do not see. The routes he suggested were always very good roads. The bike routes were well planned on good biking roads. He took into account that my wife and I were on a tandem. We would highly recommend using Huw’s planning services.